It's back in its King Street home with local craft brews, neon signs and lots of live tunes. The Vanguard, Newtown's much-loved live music venue, is back. It has reopened in its old home, at 42 King Street, replacing Leadbelly, which had occupied the space since 2016. Before that, The Vanguard was in situ for 13 years. The return to roots is the initiative of Arash Nabavi, a Sydney orthopaedic surgeon and first-time venue owner, who bought Leadbelly back in May 2018. Since then, he's been gradually restoring its original identity. 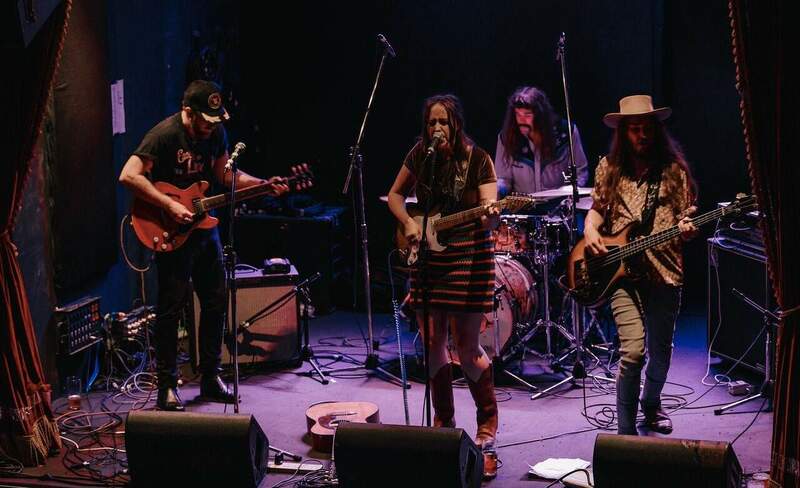 "I think, all along, we wanted to reconnect with the heritage of the place — get it back to that classic, grungy, rock dog Sydney feel has faded over the past few years," says Jodi Lewis, content marketing and programs manager at Nathan Farrell Entertainment, which books The Vanguard's live music. Central to the change is a shakeup of the gig program. "It's more contemporary and more streamlined," says Lewis. "There are Triple J acts, but, at the same, we're not straying too far from blues, jazz, country and rock." Coming up in the next month are Melbourne singer Jess Ribiero, Newtown trio Scabz and UK blues singer and guitarist Bex Marshall. A bunch of regular happenings are also on the live music lineup, including blues jams and tributes to classic bands and musicians, such as The Doors and Neil Finn. Over the Christmas break, a revamp brought in whizzbang sound equipment, an enormous green room, a renovated kitchen and new furniture. But the first things you'll thing notice are the dazzling red neon signs at the door and the massive mural by inner qest design studio April77 Creative in the laneway. "The feel is halfway between Leadbelly and the old Vanguard," says Lewis. "It's opulent, with velvet curtains and neon, but fresh and contemporary. I'd describe it as a grungy elegance." The food and drink offerings have gone up a notch, too. New beer taps pour a variety of local craft drops, with Young Henrys tinnies also available, and the cocktail list features a lineup of modern and inventive drops, including the Power and the Passion (dark rum, peach, blood orange and passionfruit) and the Go with the Sloe (sloe gin, cognac, fresh apple, lemon butter and nutmeg). A new food menu is expected to drop later this month, too. The Vanguard will officially launch on Thursday, January 31. A tiny number of tickets to the opening party will be available to the public via giveaway — keep an eye peeled for details on the venue's Facebook page. Otherwise, you can buy tickets to one of the many gigs, already booked at the venue, which kick off this week. 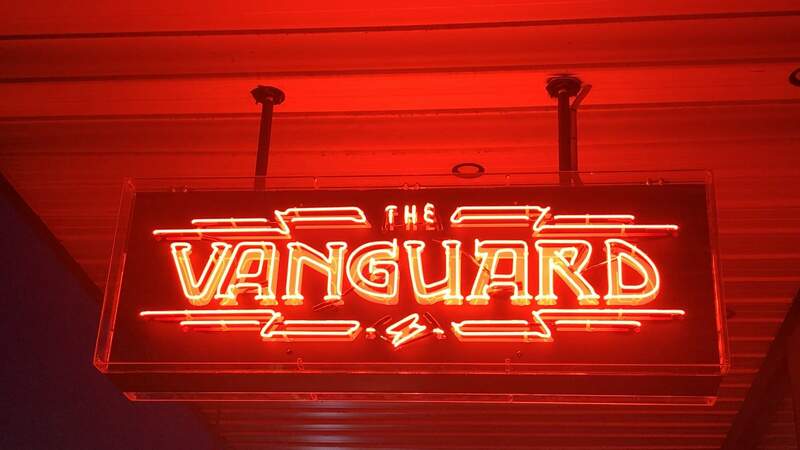 The Vanguard is now open at 42 King Street, Newtown.